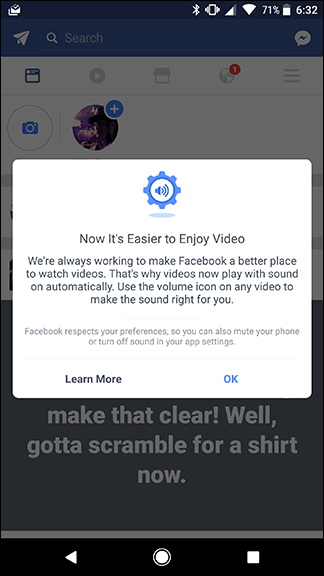 In Facebook’s endless quest to make your life “better” (where better has a very subjective meaning), it has added a feature to its mobile app that will automatically play sound when a video starts. If you’d rather turn this annoying feature off, here’s how. The Facebook app has notified users of this new feature with the following splash screen, helpfully pointing out that when videos start playing in the News Feed, the sound will be on. This is annoying, but it’s made even more confusing by the way Facebook handles sound in the News Feed. If you have this feature enabled, any time you scroll past a video, the audio will start playing immediately, whether you interact with a video or not. If you turn this feature off, then you have to tap the audio icon in the bottom right corner of the screen to start playing audio. 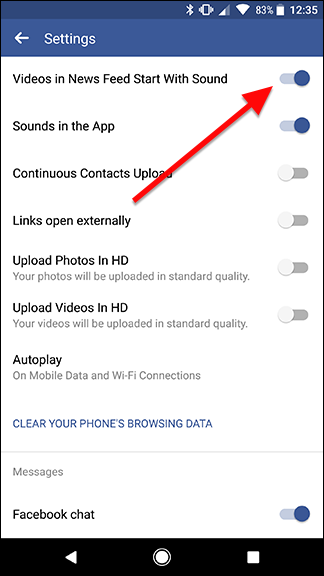 Once you do that, though, it toggles the sound on for every video thereafter…until you switch it off in the settings again. Annoying, right? 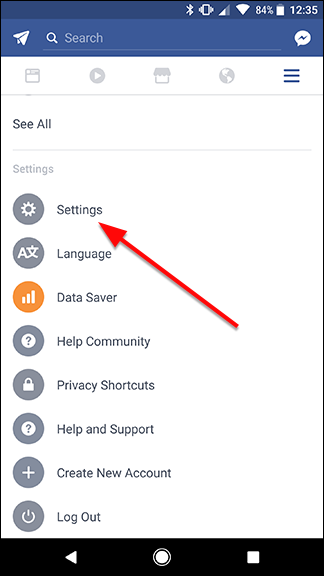 Regardless, if you want to fight back against the tide of noisy Facebook videos, tap the menu icon in the top right corner of the Facebook app. 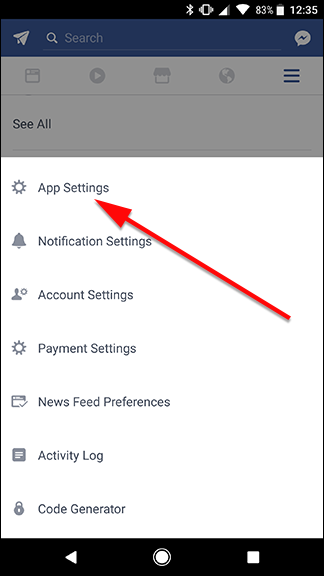 Scroll down and tap Settings, then choose App Settings. After this, you should be met with sweet silence from videos on your News Feed as you scroll past, unless you interact with a video. 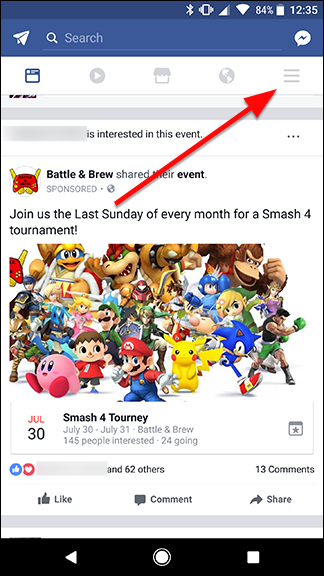 If sound does start playing, tap the speaker icon in the bottom right corner of the video, to make sure that Facebook really knows that you don’t want your videos to speak unless spoken to. Remember, if you do turn on sound for a video, you’ll have to repeat the above steps to turn sound off again.